35 million unique visitors each month with the largest user base in U.S. If you’re looking at the best online dating sites and want to use the one with the most users, the option you’re looking for is Match. This is a great dating option for many people. Read our full Match review to see if this is the best service for you. A pioneer in the industry, Match is a household name — and for good reason. It’s the biggest dating site in the U.S. with 35 million unique visitors each month. 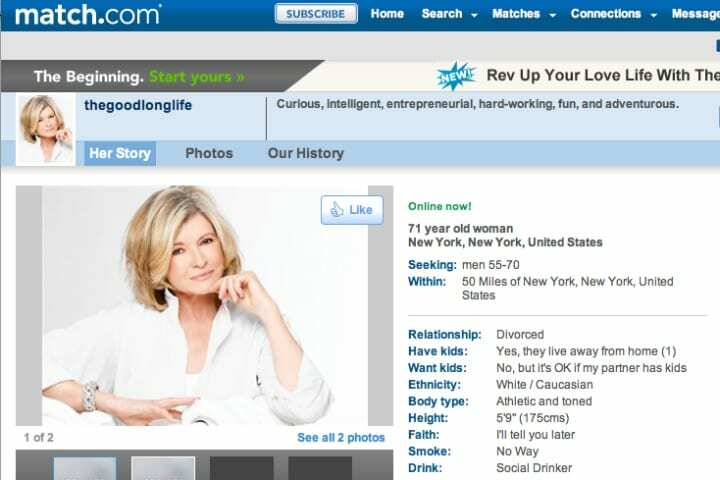 Having launched in 1995, it’s the oldest kid on the block and one of the most popular dating sites. Match is also easily the most trusted dating site. Just ask its large, loyal base of fans and read any number of highly positive Match reviews. Match is responsible for more first dates, more relationships and more marriages than any other site of its kind. No wonder people who’ve never done online dating know the brand. As a paid member, every day you receive a fistful of matches that were handpicked by the site’s data-backed algorithm. While the platform offers lots of features — you can search, wink, like and message — it works in large part because navigation is easy and intuitive. Sure, the site gives you a lot to do, but it doesn’t give you too much. 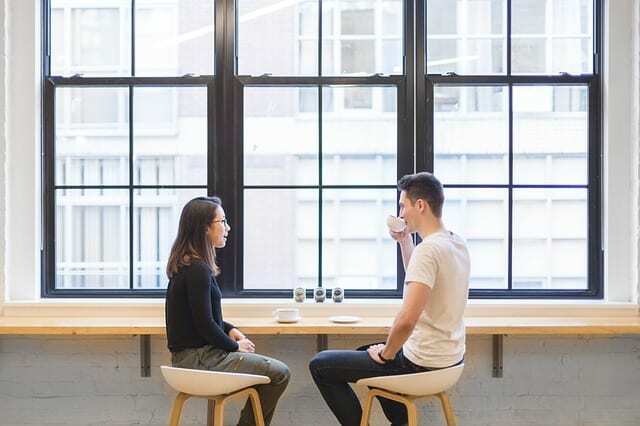 In fact, the company is so confident you’ll find someone within six months that, if you don’t, you can sign up for another six months for free. All ages welcome: Match users are fairly evenly split among Millennials (32%), Gen-Xers (39%) and Baby Boomers (27%). Cool add-ons: No doubt influenced by a similar feature on Tinder, Match offers paid add-ons such as a one-hour boost that spikes your profile’s visibility, making it easier for others to find you. Easy use: Navigating the site and the app is simple, easy and intuitive. 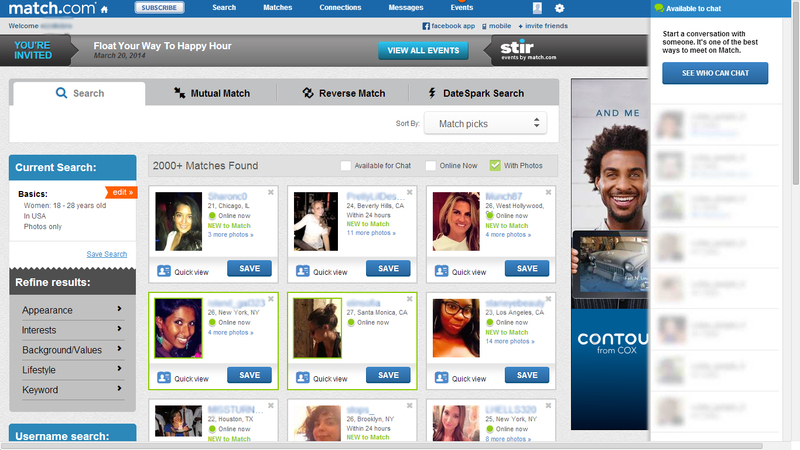 Helpful filters: The Reverse Match and Mutual Match features show you profiles of those searching for someone like you. Matching algorithm: Match delivers several new, personalized matches every day. Relationship guarantee: The company promises that you’ll find a relationship within six months or your next six months are free. Search tools: You’re not limited to your daily suggested matches — you can search for people by looks, age, location and lifestyle, among many other options. Quality users: 84% of Match members went to college. Free membership: It’s not a true membership because you can’t send messages or read those sent to you. 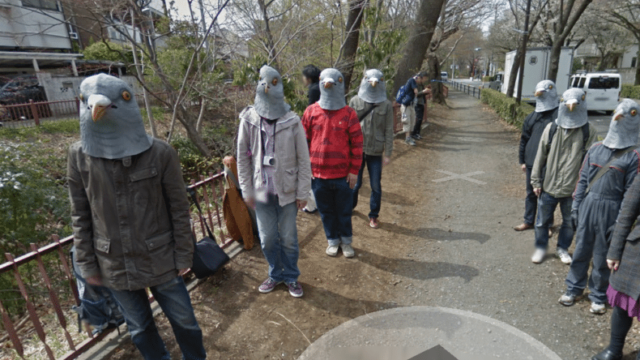 But it does give you a sense for navigating the site. The free membership may help you know if you think the paid features are welcome. Time-consuming: With so many profiles to read, features to test and message to swap, Match can devour a lot of time. The site’s step-by-step signup process is fairly simple and shouldn’t take you longer than 30 minutes. You join using your email or your social media account. Just enter your gender, name, location, email address and a few other basics. You then fill out a short questionnaire that asks you about the kinds of people you’d like to meet and date — height, hair color, age, ethnicity, educational background and religion, among other choices. You can also check a box for certain deal-breakers. For example, you can say you don’t date people who smoke or drink. Along the way, Match will be feeding your profile information and partner preferences into its algorithm so that you can be presented with the best possible matches. Next, you fill out your profile, which gives you a chance to let your personality shine. Your profile is comprised of three main categories: My Details (basics such as your relationship status, body type, etc. ), In My Own Words (who you are and what you want), and My Interests (your hobbies, passions, and the like). When writing your profile, you’ll get questions designed to tease out interesting tidbits, such as your favorite haunts, the city you grew up in and movies you love. Finally, you add profile photos, which you can import from Facebook or from your computer or phone. Once your profile is approved, you receive your first batch of matches. Match offers a host of ways to interact with others while also boasting many cool features, but you never feel overwhelmed. Why? For one, the page designs are simple yet elegant, and the entire site is easy and intuitive to navigate. This creates an experience that appeals to a cross-section of users. Clearly, Match gets that its members are not logging in for high-tech gimmicks. They’re here to find a romantic connection while enjoying the experience. The functional, well-designed interface is divided into four sections: Matches (chosen by the algorithm), Connections (which organizes who you’ve contacted or favorited), Search (with lots of helpful filters) and Messages (where most of your communications will take place). When searching, you can start with basic criteria (age, gender, location), or you can get more targeted — appearance, interests, lifestyle and the like. Plus, you’re able to save searches for future use. When you find someone you want to contact, you can shoot them a message, wink at them, favorite their profile or like any of their photos. You’re both online? Invite them to chat. As mentioned, the algorithm uses the information you’ve provided, but it also leverages your usage patterns. If you tell the site that you’d like to date 40-something brunettes but you also wink at and message blondes in their 30s, Match will notice the disparity and adjust. Soon, you’ll see 30-something blondes in your custom matches. In other words, the site continues to learn who you are and what you want. Many Match reviews talk about how helpful this learning feature is because sometimes it can be tricky to list everything you’re looking for all at once. Always innovating, Match recently created Missed Connections, which helps members meet up in the real world in a more natural way. 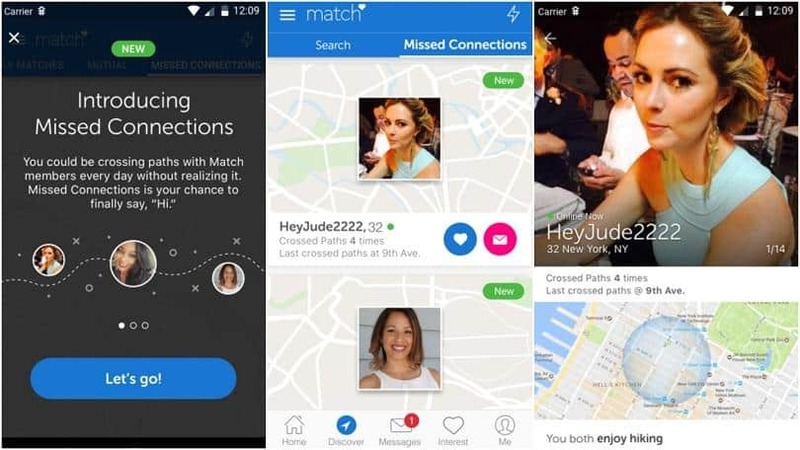 If you decide to opt-in, the Match app will use your smartphone’s geo-location to show you compatible members who have recently been in close proximity to you. The feature can reveal precisely where the two of you crossed paths — right down to the block. Don’t worry—it never gives someone your exact location. An advantage of this feature? When you meet someone who, say, goes to your gym or lives in your neighborhood, it makes for an obvious topic of conversation on the date. A heads up: The free membership doesn’t get you very far. While you can create a profile, search for matches and send winks, unpaid users can’t send or receive messages. There are three plans for paid membership: three months ($26.99/month), six months ($23.99/month) or 12 months ($20.99/month). Choosing the right paid add-on can improve your experience and is recommended by dating coaches. You can boost your profile for 60 minutes (at $3.99 per boost), which places you atop the search results you fit into. A pricey ($39.99) but valuable add-on is called ProfilePro. A professional Match profile writer will overhaul your profile, making it more compelling to your audience. Match profiles tend to be longer and more detailed than those on hook-up apps, so making your write-up good can lead to more dates. If you’re not exactly Ernest Hemingway and you can spare a few bucks, this service is worth it. Other paid add-ons include being able to see who’s viewed your profile and having access to a newsfeed-like section that lets you instantly like or pass on users. Many Match reviews talk about how these paid options can enhance your experience. Unlike on some other sites, paid users can contact anyone they like, so you may receive a lot of messages. Happily, the quality of members on Match is high, so you’re less likely to deal with inappropriate messages. Still, the company prides itself in creating a safe, fun dating environment for all of its members. To that point, Match does a great job policing its platform and screening every new profile. Users may block or report a profile they find offensive or inappropriate. If you report a problem, you can expect to hear back from the company within a day. Note that Match has a strict policy against obscene, fake or abusive content of any kind. Match has kept up with the rise of social media. The company has a tool that lets you connect using one of your social accounts, such as Facebook, Twitter and Instagram. Match gives you a badge that appears on your profile when you’re verified. It’s not just about keeping up with the times. 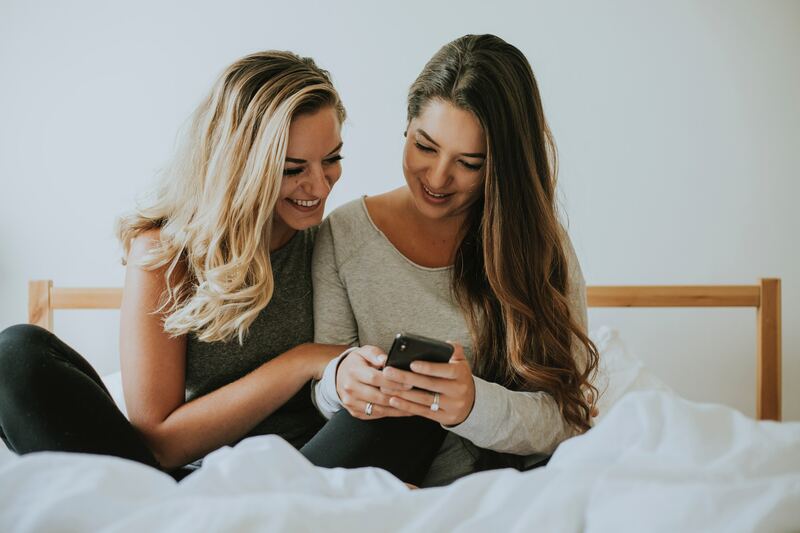 When a match sees that you’re on social media, it can build trust and connection — and lead to a date! After our Match review, we think this is one of the best online dating sites. With Match, there are no gimmicks — no quirky algorithm, no super-niche audience. The site’s reputation is built on results. In one study, 33% of members said they entered into a relationship of four months or longer because of the site. What’s more, the company estimates that Match is responsible for more than 10 million relationships and has led to 1 million babies being born. From flings to committed couples to millions of marriages, Match is an industry leader with an unsurpassed reputation, and Match reviews are overwhelmingly positive. Match is also a powerful, well-liked brand. Tell someone that you’re using a hook-up app and you’ll get a raised eyebrow. Tell them you’re using Match and they’ll say, “Nice! Had any good dates lately?” Or they might share their own dating story from using the site. Nearly 25 years after its launch, Match knows how to help people find love. The site hasn’t just survived the ups and downs of the dating industry. It has thrived. And with a commitment to innovation and customer satisfaction, it should continue to flourish for years to come. Getting over a break-up? Need to get over a breakup? Match can help, and it should be your first step. Try it out today. Have you tried this dating site? If so, leave your own Match review below!